Enter name and mobile number on Page. Now again fill basic details on next step. Now login in your account and you will able to see your 1g silver. Click on Home page and you will see a dashboard. You will get your refer link on mobile number and on website also. Share your refer link with your friends and when your friend will join under your refer link then you will get 1g silver. How to Redeem silver Earned From Referral? Once you are registered, you can refer everyone in your network!! You can either put in the details manually or simply import your contacts from your phone with a touch of a button!! Whether you want to “BUY” or “SELL”, you are required to pay only 5% of the proposed order amount to book the price and the same amount is treated as security to cover market volatility. We offer the most convenient way for buy back also. You can always sell us the goods on the prices shown in the bullion shop section. The purchaser can cancel the deal anytime by selecting the cancel option. One needs to have 27000 X 5% = Rs.1350.00(One Thousand Three Hundred and Fifty) in ones E-wallet. Once the order is booked after the initial 5% payment amount, the investor can Bring/send his goods to the companies delivery centers. It is here that they are tested for purity and weight in the buyer’s presence and the process of payment initiated immediately. If weight and purity are found satisfactory the investor will receive the total amount against his goods + 5% margin back. One needs to have 27000 X 5% = Rs.1350.00(One Thousand Three Hundred and Fifty) in the E-wallet. Prices reflecting on the companies website are inclusive of Delhi VAT; to be more explicit, for the unregistered vat dealers (retail customers), vat will be subtracted additionally when selling physical gold or silver. All taxes are according to the state & central government’s prevailing rates. Please Note: This procedure applies on ‘bullion trading’ only and not for buying or selling coins. Also, any monetary transaction happening on our website is through E-wallet which is created after registering and is visible after you login our website. Precious metal investors favour gold and silver as investment vehicles. A variety of silver is available for investment and collectibles both. Silver is a preferred investment choice being more affordable than gold, among investors. One is able to order much more quantity of silver than gold for the same amount of money, no matter what the size of the order may be. Bars, rounds and coins are the three primary types of silver bullion available in the market. Though differently shaped bars and rounds are the same for all intents and purposes. Produced and minted by Private companies, bars and rounds are investor preference; on the other hand coins end up as private collection artefacts. Coins are more expensive than rounds and bars that weigh the same, basically, due to their silver content and collectible value. Coins are scarce and are produced in fixed numbers, unlike rounds and bars which are on production lines in limitless numbers. The most common form of silver investments happen to be bars. Larger bars are more economically priced than the smaller ones. The most expensive form of silver are – coins; shaped like rounds and minted & distributed by national mints of countries, coins are also priced higher than bars and rounds. Many countries all over the world mint and distribute their own coins, which happen to be the most popular investment purchases within the country. The American Eagle is minted by the US Mint, China produces the Silver Panda & The Canadian Maple leaf is minted by Canada. Coins supersede bars and rounds in terms of price. Despite the quantity of silver present in other forms of bullion might be equal to coins, their prices will always be found to be higher due to raised collector and secondary market requirements. Being less in number and therefore, difficult to procure coins are a more sought after buy as compared to bars and rounds which are produced in limitless numbers, being pure bullion. The best strategy investors should employ is to order a combination of bars and coins, for it ensures diversification of portfolio for them, making it easy for them to buy and sell, both. Spot Price plays a key role when it comes to buying silver bullion. The going rate for the metal calculated per kg is what is known as the spot price. Almost all form of silver bullion is loosely connected to the current price of silver; giving both buyers and sellers an indication about the current market value of the metal and also give them a fair idea about what they should buy or sell it at. This would again be based on the total amount of kg’s contained in the bullion. 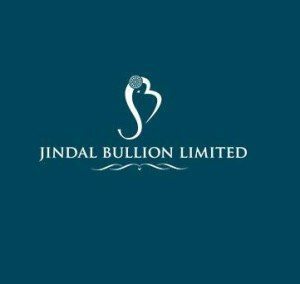 Silver spot prices are an important part of buying and selling of precious metals, Jindal Bullion therefore uses the most accurate prices available. We also offer live and historical silver charts where you can view 1 month, 3 month, 6 month, 1 year as well as custom range charts.